During Friday’s episode of Your World with Neil Cavuto, host Cavuto got into it with guests Dion Baia and Mike Gunzelman about about actor Gal Gadot’s lack of red, white, and blue on her Wonder Woman costume... well, technically just the white (man, Fox News is really obtuse about double-meanings, even when they’re accidental). “I think the Hollywood aspect, we see this time and time again, it’s cool to hate America these days,” Gunzelman added. Barring the fact that teaming up with an American to save our European allies during a World War is the quintessential definition of not hating America (even if they changed which world war it was), this analogy fails to address or even acknowledge what Diana’s original costume meant, and how it’s changed over the decades. In the character’s earliest appearances in the silver age of comics, Wonder Woman wore the flag as her costume because, in-universe, she was representing the Amazons to America... and out of universe, we were in the middle of World War II. 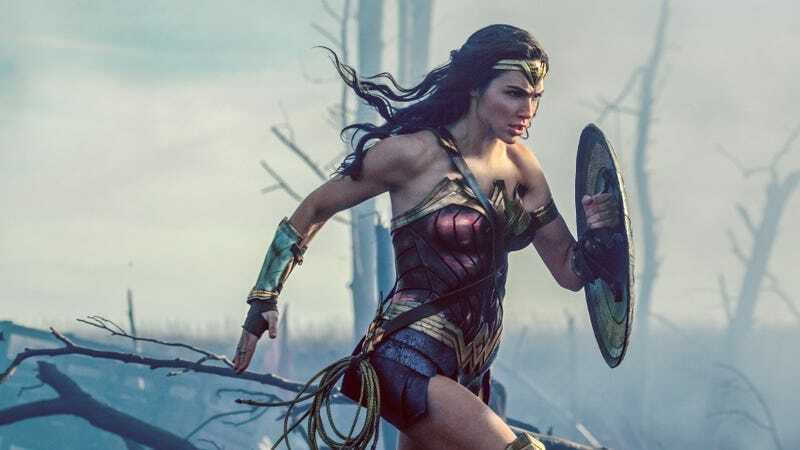 Since then, we’ve gotten several versions of the costume, including full-on 1960s mod pantsuits, flight jackets... and the infamous pants and corset getup from the failed 2010 Wonder Woman pilot. And honestly, Cavuto would know that if he’d done a Google search into his own outlet’s archives. Fox News actually reported on that TV outfit when the promotional photos debuted, asking again whether Diana was losing her patriotism — albeit with a bit more nuance than Cavuto bothered with. They even chatted with io9 co-founder (and current Nebula-winning author) Charlie Jane Anders about the situation. In that sense, it’s actually a powerful symbol of the American experience. Being an American isn’t about shedding your cultural heritage to join this collective blob of stars and stripes. It’s a place where people from all over the planet have come to live together. That can, and should, include honoring where they came from. All that being said, what does Gunzelman suggest as a truly American alternative to the evil globalist Wonder Woman? Baywatch, obviously. Additional reporting by James Whitbrook.